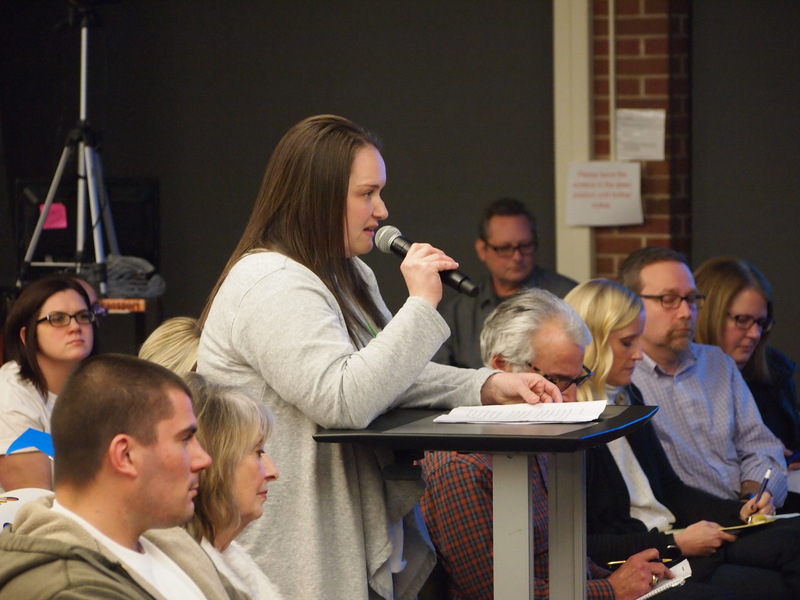 More than 90 minutes of impassioned, sometimes tearful, testimony was not enough to keep the majority of a Glen Ellyn school board from voting to part ways with its superintendent. The School District 41 Board of Education met for nearly seven hours Jan. 21 before deciding to not renew the contract of Superintendent Paul Gordon and to hire a search firm to locate candidates to be the next administrative leader of the Glen Ellyn elementary school district. 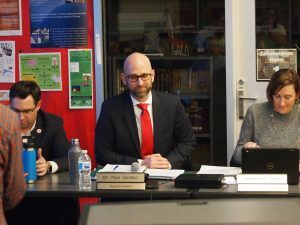 An effort was even made to extend Gordon’s contact through the 2019-20 school year so that a new District 41 School Board would have a say in the choice for the next superintendent, but a four-member bloc stood firm in not keeping the six-year leader of the district longer than through the remainder of this school year. Board President Stephanie Clark said she and Buchholz had talked with Gordon about problems they had with his educational philosophies, such as teacher specialization in subjects for students as early as second grade and Think Tank, a program bringing 21st century learning expectations to the elementary school level. Barbara Montgomery, a fifth-grade teacher at Forest Glen School, tells Gordon the impact that he has had on her. 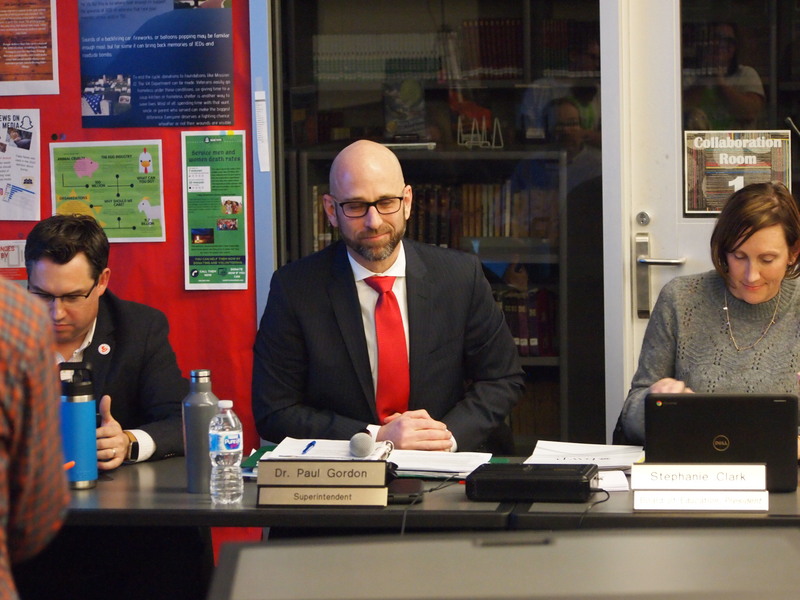 Board member Robert Bruno said not only did two previous boards rigorously evaluate Gordon during the past five years and judge him “substantially meeting and/or making suitable progress,” he was deemed worthy of a contract extension. 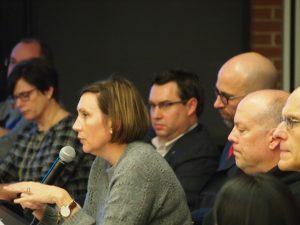 Bruno said it is a crazy decision-making tool for four votes to decide if the superintendent of a district with 300 employees, 3,500 students and a $54 million budget, stays or goes. “Four votes, that’s it,” Bruno said. Voting against renewing Gordon’s contract were board members Bruce Currie, Linda D’Ambrosio, Buchholz and Clark. The vote came after more than 1 ½ hours of District 41 parents, teachers and staff parading to the podium to stress their support for Gordon. School Board President Stephanie Clark tells residents and teachers her reasons for not supporting the renewal of Gordon’s contract. “Why are going to go and get the bottom of the barrel at this late date when you already have the cream of the crop?” parent John Adduci asked. Barbara Montgomery, a fifth-grade teacher at Forest Glen School, said she is an awe of the integrity in which Gordon conducts himself, most notably with the divided School Board. Gordon told the Chronicle that he was “overwhelmed” by the parents and district staff who spoke on his behalf. “It was very kind and thoughtful,” Gordon said. In ay letter to the community Friday (Jan. 25), Clark highlighted that B.W.P & Associates has been hired to conduct the superintendent search.